“I personally appreciate that, on this day, I won’t be the only one here who might be accused of speaking with a bit of an accent,” Zetsche quipped. That was typical of the affable 56-year-old German engineer, whose sense of humour – telling self-deprecating jokes while tending bar for reporters at the Detroit Auto Show, for instance – has made him one of the car industry’s best-liked executives. But it has not all been smiles beneath Zetsche’s walrus moustache as he steered the group through a divorce from US arm Chrysler, slashed costs at premium brand Mercedes-Benz, and now forged a small-cars alliance with Renault and Nissan. 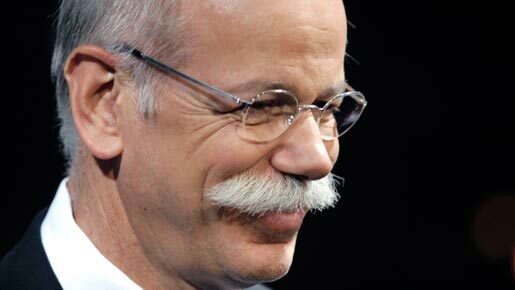 It was a typically pragmatic move for Zetsche, who in 2007 ditched Chrysler – a brand he once headed and rescued with a tough efficiency drive – after concluding the 1998 merger with Daimler-Benz had failed to generate meaningful benefits. Now economic reality in the low-margin small car segment and the arrival of tough carbon emission rules has forced Zetsche to find new partners in the mass volume segment. It was another game-changing moment for Zetsche, whose success at turning around Chrysler vaulted him into the top job at group headquarters in Stuttgart in 2006. The company this year extended his contract until the end of 2013. “Dieter is really an inspirational leader,” Mike Jackson, chief executive of US auto dealership group AutoNation, once told Reuters. Jackson worked closely with Zetsche when Jackson served as head of Mercedes-Benz USA. Zetsche, who speaks six languages and plays the viola and violin, once described his leadership with a touch of Teutonic charm in a speech to the Harvard Business School.